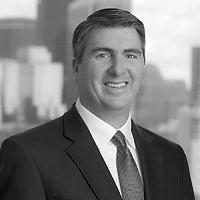 John G. Loughnane, a partner in the Business Department, published “Like This: Evaluating Social Media Accounts as Property of the Estate” in the December 2015 issue of the Norton Journal of Bankruptcy Law and Practice. The article discusses how the United States Bankruptcy Court for the Southern District of Texas wrestled with issues of ownership of various social media accounts in In re CTLI, LLC. John details the factors considered in the decision, described as the CTLI Descriptive Factors, to determine that the particular social media accounts at issue constituted property of the estate. John explores how ownership of social media has been addressed in other contexts such as employer/former employee disputes and the consideration of state legislative initiatives regarding ownership and access. He proposes a framework for consideration of additional factors in future determinations of whether a social media account constitutes property of the estate of a debtor, which he describes as Rights Factors. John points out that resolution of future disputes about ownership of social media accounts should include not only consideration of the CTLI Descriptive Factors but also an analysis of Rights Factors.